يوفر فندق Mangrove Manor Bed & Breakfast ظروف إقامة راقية وهو خيار رائج للسياح ولرجال الأعمال أيضاً. يقع في منطقة سياحة من المدينة. يمكن من هنا للضيوف الاستمتاع بسهولة الوصول إلى كل ما تقدمه هذه المدينة النابضة بالحياة. يقع هذا الفندق الحديث على مسافة قريبة من المعالم السياحية الشهيرة. استمتع بالخدمات الراقية والضيافة التي لا مثيل لها بهذا الفندق في هذه المدينة رائعة الجمال. يقدم العقار واي فاي مجاني في جميع الغرف, مدفأة, تخزين الأمتعة, واي فاي في المناطق العامة, صف السيارات لضمان الراحة القصوى لضيوفه. تنعكس أجواء Mangrove Manor Bed & Breakfast في غرف الضيوف.تلفزيون بشاشة مسطحة, اتصال لاسلكي بالإنترنت, اتصال لاسلكي بشبكة الإنترنت (مجاني), غرف لغير المدخنين, تدفئة هي بعض الميزات الموجود في العديد من الغرف. كما أن مجموعة الخدمات الواسعة الموجودة في الفندق لضمان راحتك تترك لك الكثير من الخيارات لقضاء وقتك أثناء فترة إقامتك. مهما كانت أسبابك لزيارة المدينة، فإن Mangrove Manor Bed & Breakfast هو الخيار الأفضل لإقامة مثيرة وممتعة. لا يناسب هذا العقار الأطفال دون سن 12 عامًا. Wonderful hosts, great room and superb breakfast. 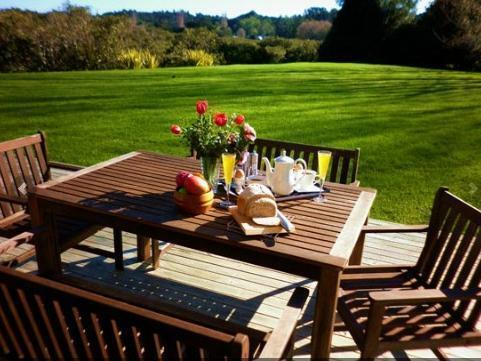 Located in a very scenic part of Coromandel Peninsula. Hosts' restaurant recommendation - Pepper Tree was perfect. Very friendly and welcoming. Lovely room and great breakfast. Great food great hosts great place to stay. Lovely home and warm friendly hosts. We stayed at Mangrove Manor for two nights in the Seaview room. The room was clean and comfortable with high quality linen. The ensuite was very spacious. We enjoyed a great breakfast each morning and the company of Anne and Peter. Coromandel is lovely town and Mangrove Manor is a great place to stay to explore the area. Anne and Peter were terrific hosts, who made us feel very much at home. 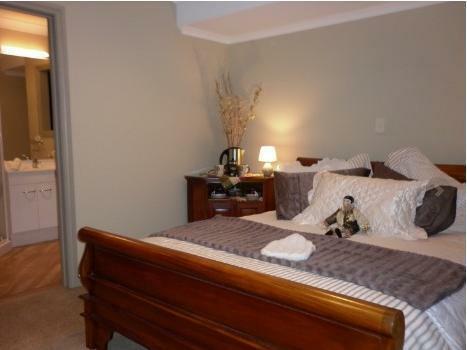 The bedroom was beautifully furnished and the bathroom facilities everything you could hope for. We highly recommend this property. Lovely stay though it was raining. Ann and Peter are truly interesting and thoughtful hosts with a lot of wonderful stories and also a high level of culinary skill... breakfast was excellent. The room that we stayed in was upstairs and though it is independent, it still kind of feels like staying at your Mom and Dad's house (though Peter & Ann would likely be more like siblings for me). Slept VERY well! It was a fantastic stay. Peter and Anne did their best to make us feel at home. One of our best accomodation during our stay in NZ. Thumbs up !!! The hosts were extrememly friendly. The breakfast spread was very impressive (great poached eggs). Bed was very comfortable. Our stay was excellent, we had no problems finding it and as mentioned earlier our hosts were more than helpful and very knowledgeable of all things around the local area and Auckland which was our next stop. Thank for a very comfortable evening stop over. It was the best, everything thing was taken care of, the hosts made us feel like we were at home. It was just amazing. Such a beautiful home and location! We had a sick 18 year old with us upon our arrival and they were so hospitable and accommodating! It was like visiting parents/grandparents! They made us feel right at home, safe, secure and comfortable! Cared for us like we were family! Fed us like kings and queens! Hated to leave! We had a very relaxing two days with friendly hosts and great food. We thoroughly enjoyed staying here and their local knowledge was very helpful. I would thoroughly recommend this accommodation for anyone they would not be disappointed. Sparkling clean room with pristine bathroom. As nice as the room was, the breakfast was better. To top it off, Peter and Anne were wonderful hosts...by far, the most at home we felt during our entire time in New Zealand. Wonderful place to stay. breakfast is large and delicious. 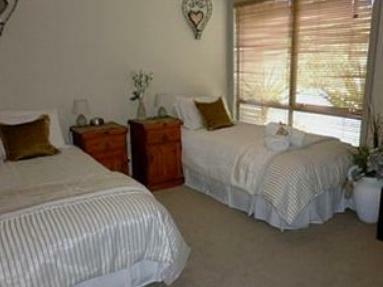 The bed is so comfortable and the location is very peaceful for relaxing. I love to stay here and I love the environment. It is good for relaxing and it is a great view from the bedroom. Very personal welcome by Anne and Peter - even though there was a death in the family. Good chat with Peter about biking, sunset, restaurants, etc. Close to Coromandel Town, but car or bike needed to move around locally. Great breakkie, but mind, you need a big appetite. Off road parking, quiet location, good breakfast !